Alumicolor® Triangular Drafting Scales are made of extruded aluminum. 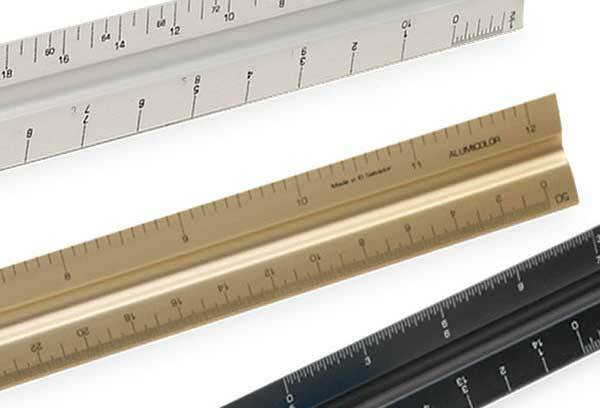 The Alumicolor® photo anodizing process makes the calibrations a part of the aluminum, providing a smooth, tick-free finish and markings which are resistant to cleaners and solvents. 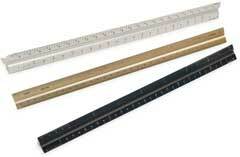 Solid Scales have an executive weight and feel, and are widely ued by drafting professionals. Dimensions: 0.917" wide per side. Packaging: Triangular plastic tube with hang cap.